Indiana University’s The University Information Technology Services (UITS) division needed a better way to collaborate among university technology groups in different locations as the university has multiple campuses. 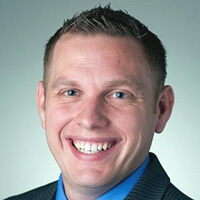 Matthew Gunkel, the university’s manager for e-learning design and services, said it was tough to align teams outside their individual units around outcomes they all wanted to accomplish. The university had some specific criteria for this new collaboration platform. They wanted something that was intuitive for all employees, including project management staff, administration and faculty. It had to be focused on deliverables and outcomes. It had to integrate with existing storage solutions and some productivity tools, like Box, that some users wouldn’t give up. It had to help collaboration by permitting everyone to use it at the same time and not being dependant on any one user or sequestered server. Since using Redbooth, UITS has a way to do complex logistical project management across the university’s multiple campuses, says Gunkel. Christy Cavanaugh, an online instructional designer, says she’s seen a 10 to 15% increase in productivity since her team at Indiana University’s The University Information Technology Services (UITS) division started using Redbooth. His team member Christy Cavanaugh, an online instructional designer, says the team uses it for project management, task management, onboarding, project collaboration and note taking. She’s also a big fan of the Outlook plugin for task management, saying Outlook is basically ubiquitous in universities so the working plugin is invaluable. UITS is currently working on using tracking tools to quantify its return on investment, Cavanaugh says. She says there’s been a significant increase in transparency and eliminating redundant projects, which has resulted in significant cost savings. Productivity, too, is on the rise.